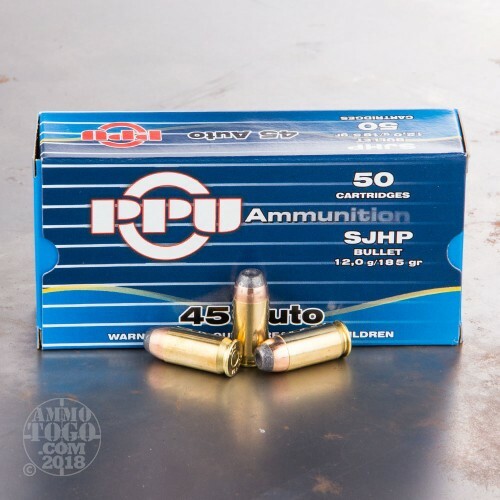 This 50-round package of Prvi Partizan .45 ACP (Auto) ammunition is perfect for concealed carry, home defense, and personal protection. 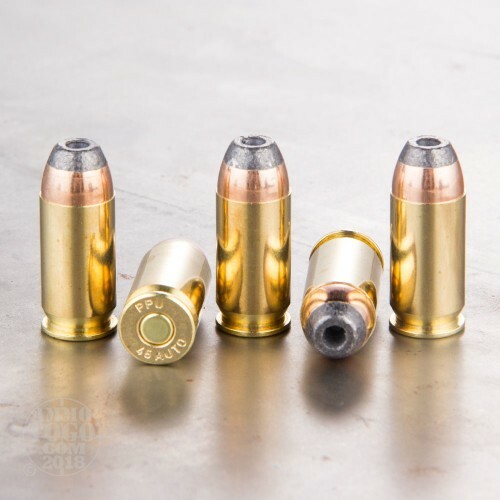 Each new production cartridge is loaded with a 185 grain semi-jacketed hollow point projectile. 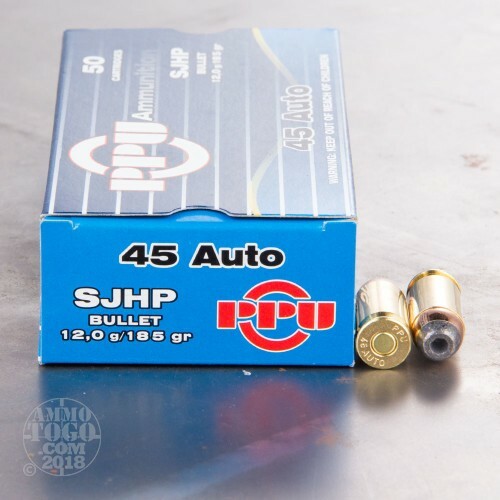 SJHP bullets provide the stopping power and terminal expansion of a normal hollow point, but deliver deeper penetration to create massive soft tissue damage. Each round produces a consistent muzzle velocity of 935 feet per second and a muzzle energy of 359 foot pounds. This ammunition is non-corrosive, boxer primed, and features reloadable brass cases. 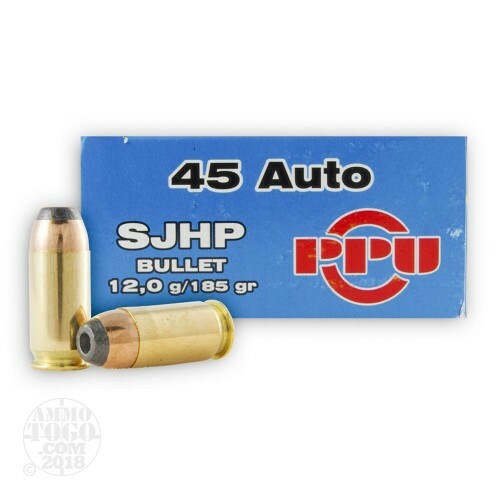 One of the largest manufacturers of modern ammunition, Prvi Partizan is located in Užice, Serbia. 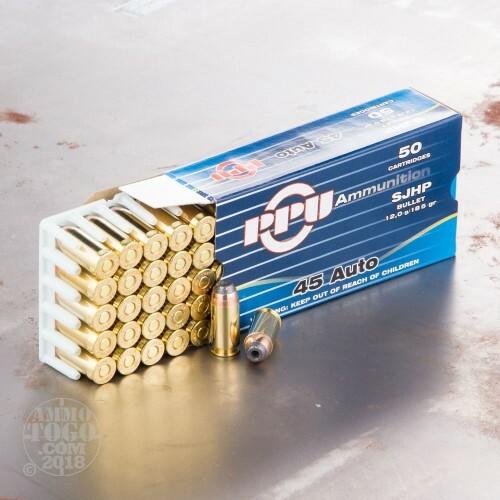 Best-known for producing ammo for the Serbian military and police forces, Prvi Partizan also manufactures affordable, high-quality loads for civilian shooting applications.